The annual materiality assessment is equally important to the Bank’s Strategic Planning and reporting processes. We conducted an internal review in March 2014 to identify material topics. Specifically, we reviewed existing and new material issues identified via stakeholder engagement activities, our annual risk assessment, customer complaints and compliments. 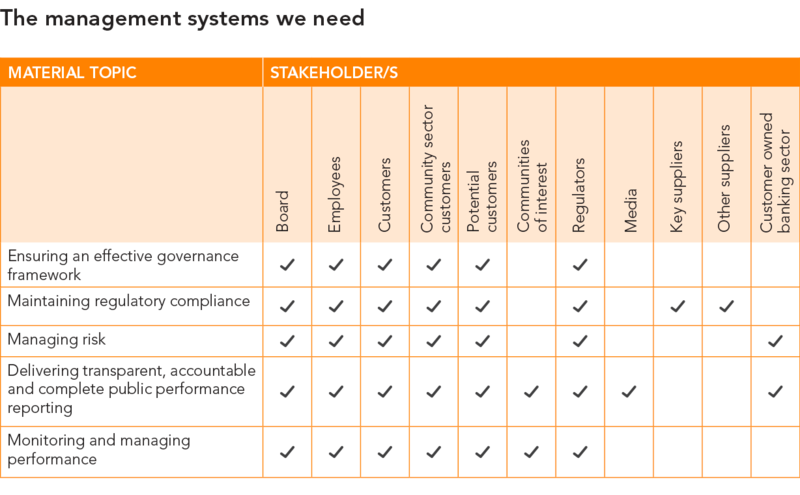 This step was guided by the GRI G4 Principles for Defining Report Content and Integrated Reporting Principles. Senior management used the AccountAbility 5-part materiality test to determine the factors that were most important for the long term sustainability of bankmecu operations. This involves balancing the feedback from stakeholders with the Bank’s future needs to maintain our responsible approach to customer owned banking and performance. Senior management prioritised material topics under each goal of the Strategic Plan to demonstrate the direct relevance to the business. The Board considered the materiality assessment when it developed the current Strategic Plan. The GRI G4 Aspect and Impact determination is the third step in the process. 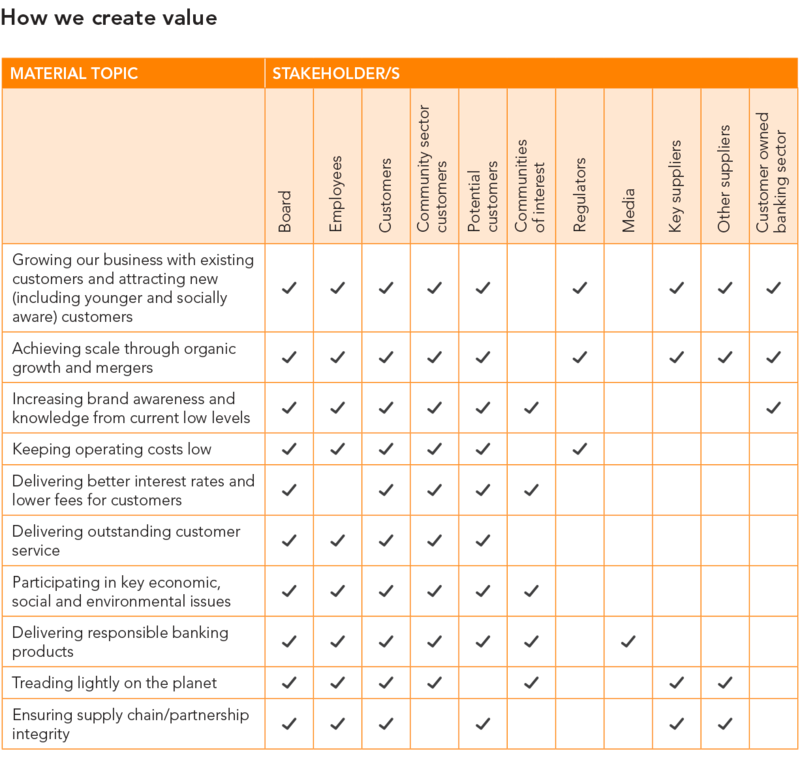 The Board/Senior Management determined GRI Aspects and Impact Indicators relevant to the material topics and noted their Aspect Boundary (see GRI table).